After the Second World War, many veterans came to Sarnia. The population of Polish immigrants increased. 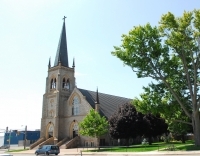 In 1952, the Polish community decided to have their own church. It was not easy, primarily, due to the lack of a priest. 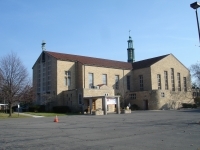 In August, 1952, after efforts from the Bishop of London the Polish Catholic Mission in the parish of Our Lady of Mercy was founded with its spiritual director, Fr. Francis Bardel. 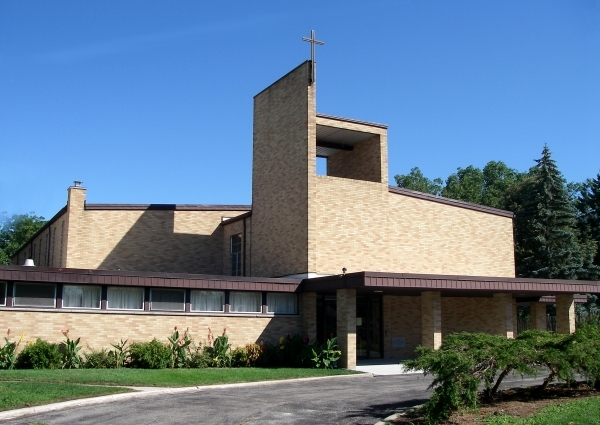 On May 4, 1958, Bishop Cody blessed a new and renovated space for the community. On July 5, 1958, the mission was renamed as the ethnic parish dedicated to Our Lady Queen of Poland, whose appointed pastor was Fr. Joseph Pucka. 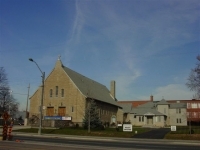 On December 14, 1969, Bishop Carter dedicated the new church on Rosedale Ave. with the new name of Our Lady Queen of Peace. The next parish priests were: Fr. Wieslaw Gutowski, Fr. Zbigniew Rodzinka CSMA, Fr. Stanislaw Sołtysik CSMA, Fr. 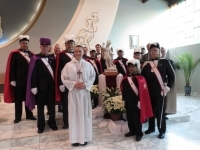 Zbigniew Rodzinka CSMA (second time), and Fr. Waclaw Chudy CSMA.